The first snow of the season is falling, time to get out the warm clothes and do some Christmas crafts with the kids. 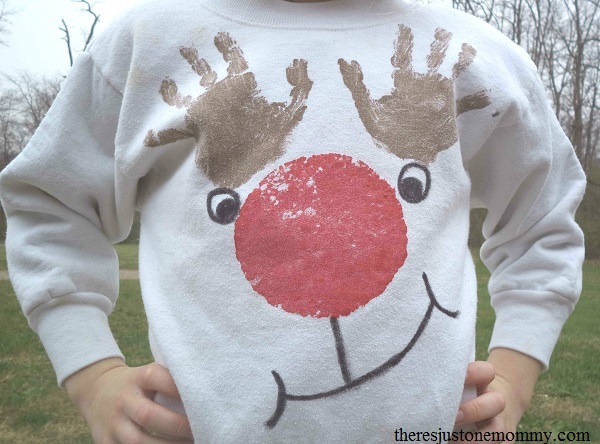 Make this homemade hand print reindeer sweatshirt and keep ’em warm and smiling this season! Press the sponge onto the center of the front of the sweatshirt. This will be your reindeer’s nose! You could also have the child press their hands into the paint, but using a paint brush will be a bit less messy and will ensure a complete coverage of paint for their hand print. (Tip: After the first hand print is made, wipe the paint off their hand before doing the second hand!) You will want to make sure they place their hands far enough from the red circle to add eyes in later! 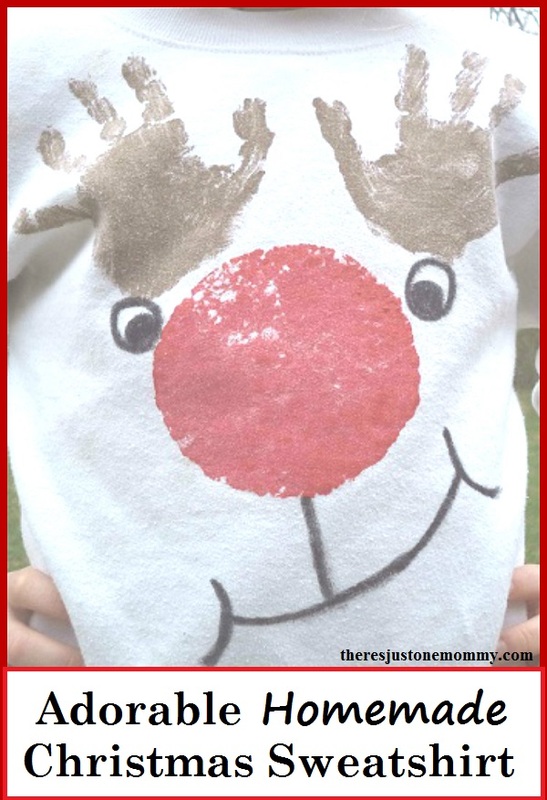 This hand print reindeer craft makes a cute sweatshirt for little ones to wear, and would look cute on a fabric tote for a gift as well! Shape Reindeer Craft — Work on shape recognition with your child while making this cute reindeer. 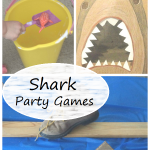 15 Homemade Gifts for Kids — These homemade gifts will be treasured much longer than store bought. 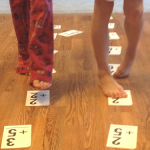 Go on a Candy Cane Hunt! 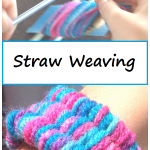 — Your child will love this super simple Christmas activity. 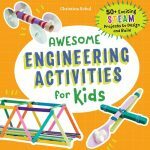 Learn with Play: 150+ Activities in One Great Book — Makes a great gift for new parents and early educators! Oh now this is just way too cute! Perfect gift for grandparents. That’s what I’m thinking, too!